Some say spices in peach butter or peach pie take away from the fresh-fruit flavor and we have to agree. Fruit butters can be made in a slow cooker, microwave, on the stovetop, or in the oven and peeling isn't necessary because the fruit is strained after the initial boiling. 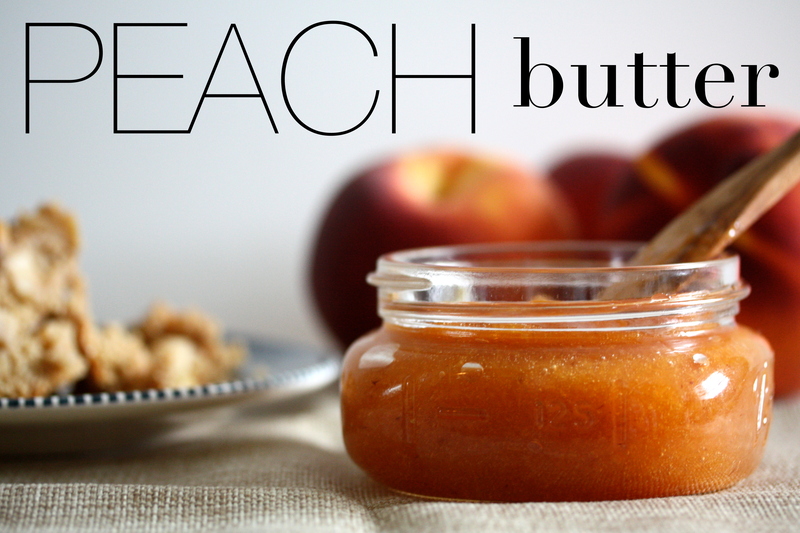 Five large peaches make 1 pint of fruit butter but the recipe easily can be doubled or tripled. It's good to know the difference between fruit butters, such as this, and conserves, jams, jellies, marmalades, and preserves—they're closely related. In a large saucepan, place peaches and water. Bring to a boil. Return to a simmer and cook until peaches are soft, about 20 minutes. Run the peaches through a food mill or a sieve and discard the skins. Add sugar to the pulp and mix well. Now reduce the pulp by one of the following methods. Slow Cooker: Place sweetened pulp in a slow cooker with the lid partially off to let steam escape. Set at low and cook, stirring occasionally, for 6 to 12 hours or overnight, or until thick enough so the butter doesn't run off a spoon when turned upside down. Microwave: Place sweetened pulp in a microwave-safe bowl and cook for 20 minutes at a time, stirring frequently until thick enough so the butter doesn't run off a spoon when turned upside down. Stovetop: Place sweetened pulp in a medium saucepan and cook over medium-low heat, stirring frequently, for 1 to 2 hours or until thick enough so the butter doesn't run off a spoon when turned upside down. Oven: Heat oven to 250 F. Place sweetened pulp in a heatproof casserole dish or roaster. Bake, stirring only occasionally, for 1 to 3 hours or until thick enough so the butter doesn't run off a spoon when turned upside down. Place hot fruit butter in hot sterilized jars, leaving 1/4" headspace. Cover with hot sterilized lids and rings. Process in a water bath for 10 minutes. Remove to counter and allow to cool before storing in a cool, dry, dark place.